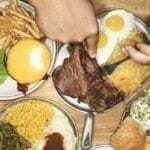 Night eating syndrome (NES), or the habit of having heavy meals during your supposed bedtime, harms your body in many ways. For instance, it increases your risk of developing a heart disease. It can also cause unwanted weight gain, click here to learn more about NES. 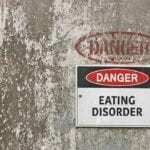 Scientists admit that there is currently insufficient research on the breadth and depth of night eating disorder. However, studies are ongoing to better understand this disorder. If you suspect you are suffering from NES, there are at least seven tips you can follow to overcome your condition. Spoiler alert: The list is not easy. However, you owe it to your body. Have breakfast within 30 minutes after waking up. Drink water and have some fiber to boost your metabolism. Make your digestive system work in the morning and rest at night (vice versa for those in graveyard shift).It is your way of telling your body that your day has officially begun.Make a recognizable pattern in your mealtime. Your body will adjust to this pattern accordingly. Sticking to a schedule is good for your circadian rhythm, or 24-hour body clock. Disrupting this pattern causes potential health issues and other problems. Be sure to schedule your dinner at least two hours before bedtime. To avoid feeling hungry late at night, pack your meals with protein, fat, and fiber. They satisfy well and provide a good sense of fullness. This means you would not be craving for more food after a full meal.You should have a moderated, balanced meal(1). More important: Make sure you are not overstuffing your meal with carbohydrates especially if you are leading a lethargic life. Excess carbohydrates will convert itself to fat, triggering weight gain for people with an inactive lifestyle.For breakfast, you can have boiled egg for its protein and a buttered whole grain toast for fat and fiber. Have a healthy snack two hours after breakfast, then have a “somewhat heavy” meal. It means you should learn to eat less at night. If you had a heavy dinner, try to go for a leisurely walk after your meal. Provide a gap of about two to four hours between dinner and bedtime. This will allow your metabolism to work more efficiently. Eat well during the day. Improve your eating habits to keep your metabolism on track. Eat less at night. Pasta. Ice cream. Candies and chocolates. These are the kinds of food that our body does not need at night, particularly soon before bedtime.There is wisdom in this old adage: “Breakfast like a king, lunch like a prince and dine like a pauper.” Have a heavy breakfast that could support you through the day. Then, go to bed feeling light, not full. Learn your real hunger cues. Are you really hungry? Ask yourself. Then drink some water. Be sure you are not having some snacks out of mindless indulgence. Sometimes, a glass of water could soothe what you sense as hunger. Real hunger would make your stomach grumble. Seek professional help. If you have tried everything, but you are still unable to sleep at night without post-dinner meals and snacks, it may be time to see a doctor. 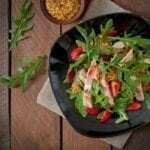 Overcoming Night Eating Syndrome can be resolved and cured. Ask a family member or friend to help you and if your having issues then get professional advice to beat your condition.